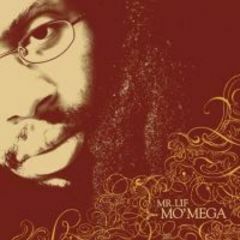 Mr. Lif could rhyme over a pneumatic drill and you would have to sit up and listen and with fellow Def Juxter El P on production for 8 of these tracks a pneumatic drill isn't too far off the mark. This is Lifs follow up to 2002's I Phantom and it's as intense as ever. Lif's delivery is cold and relentless but its in the subject matter where you really find the heart and soul of this album. The general concept on Mo Mega is how the increasingly modern world is slowly consuming the lower, poorer classes and with his unique monotone, nasal drawl he lambasts everyone from the President to the FBI to fast food chains. Lif never messes about and with El P behind him chucking out dirty beats to make your eyes water the flavor is as hard hitting and uncompromising as the political onslaught of early Public Enemy. The early stand out is Lif's relentless attack on McDonalds with The Fries. Here we get his conspiracy theory of how the government is using fast food to cripple the poor and its told with dazzling vocal skill. Do excuse the hefty quote coming up but it's pure genius. "A new disease that you caught at Mcydee's, in your quarter pounder with cheese, order with ease, super size please. People won't even survive through the drive thru. kids blacked out in the back with a happy meal, what a crappy deal, but it was only four ninety nine so there's more people in line, yea the plan's running fine, the parking lot is now a burial plot where you can park and rot if you can find a spot." The best thing about most Def Jux releases is that they often feature other label artists which is always a real treat. Here we see the intensity peak with Take Hold, Fire! featuring the mighty Aesop Rock and El P. These guest vocals come as a welcome break from the relentless tone of Lif and it makes for a classic Def Jux lyrical master-class. This signals a general easing off on the political accelerator and the comic frivolity of Murs Iz My Manager comes as a breath of fresh air. Here the two rappers argue about why Murs should manage Lif to make him more commercial. Lif is having none of it and at one point Murs asks how he is supposed to get Lif the Herbal Essence sponsorship if he never washes his hair. From here on the beats are lighter and more 'hip hop' I guess. The vocals ease up as a result and once you get to the end you just want another go. Rappers like Mr. Lif and his Def Jux buddies are really stretching this genre and it's thrilling to behold. If I was a Head Of State I would look on this group with some worry. They have such a ferocious style that you get the impression that if their music doesn't change things they are perfectly prepared to walk into the Oval Office and start breaking some heads.